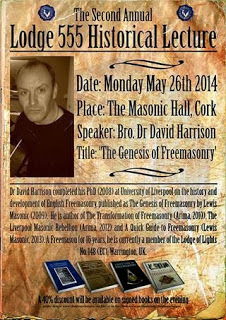 Dr David Harrison will be appearing at the second annual historical lecture at Lodge No. 555, Cork, Ireland on the 26th May, 2014. This years talk will be about Dr. Harrison’s book The Genesis of Freemasonry.